Indian Institute of Technology is Government, non-minority and co-educational institute. It is an autonomous institute was established in the year 2008. Indian Institute of Technology is affiliated and recognized to UGC and approved by AICTE- All India Council of Technical Education. Indian Institute of Technology has three schools: School of Engineering, School of Basic Sciences consisting of Chemistry, Physics, and Mathematics Departments and School of Humanities consisting of Humanities & Social Science Department.and Technology. 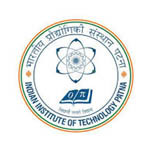 Indian Institute of Technology is situated at Patliputra colony in Patna district of Bihar. college is 7 km from Patna railway station and 6 km from Jai Prakash Narayan International Airport. The Campus has total 78 faculty members from all departments and 70 academic and administrative staff. College provides well stocked library, hygienic canteen and transport facility along-with all necessary facilities and amenities as per AICTE norms. College encourages students to engages themselves in various co-curricular activities beside their academic program. All students are given opportunity to sharpen their talent and develop their personality with such activities.